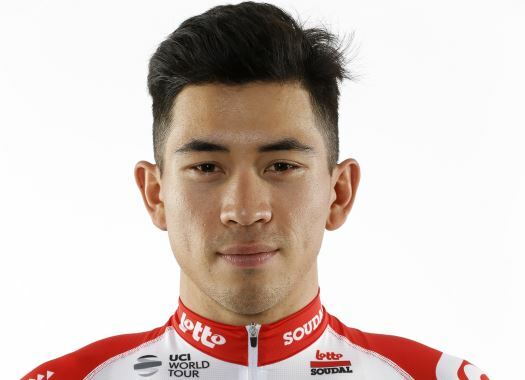 Caleb Ewan is set to lead Lotto Soudal at Milano-Sanremo, the first Monument of the season. The rider wants to become the third Australian to win La Primavera. The 110th edition of the race will be 291 kilometres long that will take the peloton through the iconic route that finishes in the Via Roma. Ewan will start in the race for the third time in his career and will attempt to improve from the second place he took in 2018. "Of course, I want to do better than last year," the Australian commented. "Milan - San Remo is the biggest goal of my first part of the season. I will definitely aim for the win. My two earlier participations have learned me that it is a relatively easy race to finish but that also means there are more candidates for the win. "There will be a lot of teams at the start that can control the race. So, I am hoping that a reduced bunch will go to the finish and that I will be able to sprint for the win on the Via Roma. The form is really good so I am looking forward to Saturday." The rider is familiar with the course, as he lives close to Sanremo, and expects a difficult and aggressive race. "In my opinion, there are three important points in the race. The first one is the Cipressa, then the ascent of the Poggio and afterwards the final kilometres to the finish," Ewan explained. "The ideal scenario would be to have one or two teammates left at the top of the Poggio to help me get into a good position for the sprint. I feel lucky to have such a strong team behind me that will protect me all day long. It is important to be well-surrounded because you need to save as much energy as possible during the day to go for a good result in the end. "There are so many candidates for the victory and that is exactly what makes Milan - San Remo such a hard race to win. On the one hand, you have the punchers like Alaphilippe, who’s in excellent shape and is also sprinting well. If he attacks on the Poggio, it is going to be a hard finale. For the sprinters, there are guys like Viviani and Gaviria and you also never know what Sagan will do. The person that saves the most energy throughout the day will win."